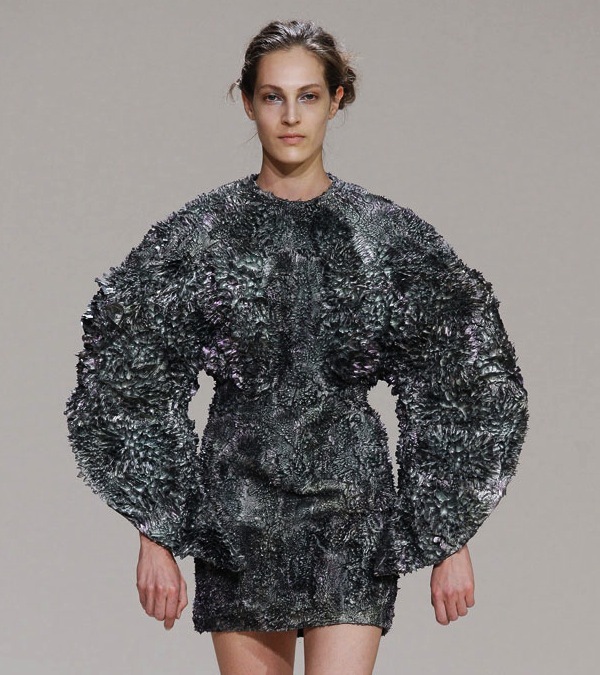 magnetic dress by iris van herpen + jólan van der wiel « Adafruit Industries – Makers, hackers, artists, designers and engineers! 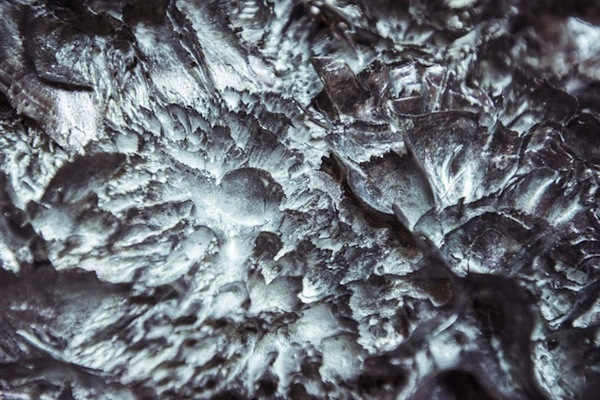 stretching the limits of the magnetic medium, van der wiel’s study of physics and gravity allows for a physical reinterpretation, working with iron filings and molten plastic to organically grow various shapes and forms. the resulting maturation of the material, in fusion with textile and fabric, generate ‘dresses whose very forms are generated by the phenomenon of attraction and repulsion.’, van der wiel describes. the process was applied to van herpen’s ‘wildernes embodied’ collection, which premiered in july 2013 for paris haute couture week. the almost meteorological wearables appear to have been sourced from moon materials with their pearlescent, coarse exterior skin and inflated architecture. van herpen has just been awarded the golden eye prize at this year’s dutch design awards her ‘voltage collection’ of garments featuring 3d-printed technology. the dress is currently featured at klokgebouw for dutch design week 2013.